Shelley and Adam Claybaugh are pictured with their three children. As first-time parents, Shelley and Adam Claybaugh experienced difficulties at birth with their first child, Brody. At only seven hours old, Brody underwent a three-and-a-half-hour surgery to clean out his bowels. Seven days after Brodyʼs birth, Shelley and Adam were notified that their newborn son had cystic fibrosis. While it was not the news any first-time parent wants to receive, they decided to attack this condition head on. 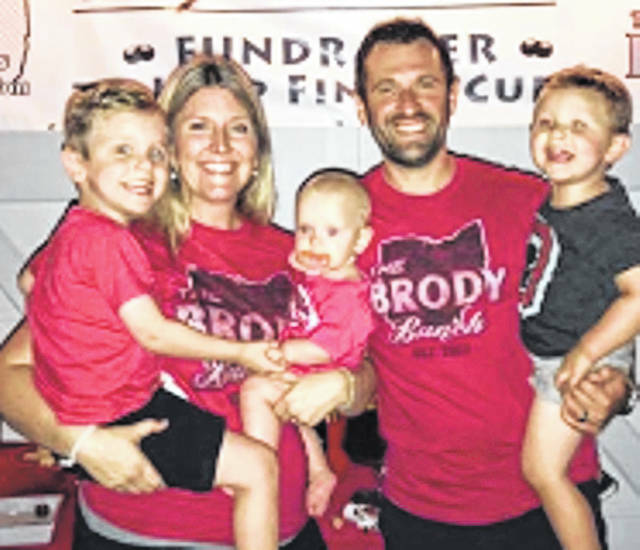 The Claybaughs have received a lot of support from their friends, families and the cystic fibrosis community and want to do their part to give back. After a second surgery after his birth, numerous tests and a 76-day stay in the hospital, the young couple finally got to take Brody home. Brody is now 5 years old. He loves animals and trains. He is a caring and outgoing boy who likes to stay active. At first sight one would believe Brody is like any normal 5-year old, but there are a lot of treatments and doctor visits to keep this little guy healthy. Brody must complete up to four breathing treatments a day to break up and loosen the mucus in his lungs and there are regular visits to specialists. Thanks to the Claybaughs’ constant attention, Brody is doing well. Shelley and Adam host annual fall fundraising events to support the Cystic Fibrosis Foundation. Pleased with the results, they are offering another event for people to come together, learn about cystic fibrosis and have fun raising money for research. 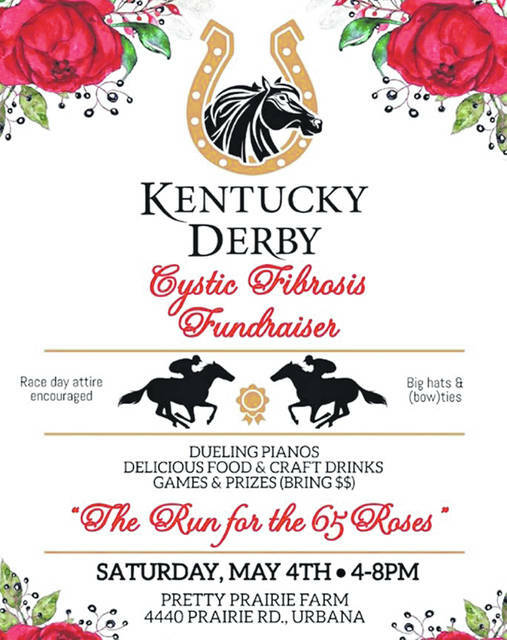 The Claybaughs teamed up with Brad Winner of MIXX165 in Mechanicsburg and Lyndsey Murphy of the Hive in Mechanicsburg to put together a Kentucky Derby event on Saturday, May 4 from 4-8 p.m. at Pretty Prairie Farm, 4440 Prairie Road, Urbana. The rustic atmosphere of the venue provides the ideal environment for a Kentucky Derby-themed event. Race day attire is encouraged, such as large, decorated hats for ladies and bow ties for men.